Rocket, Science Museum, London, 28 January 2005. 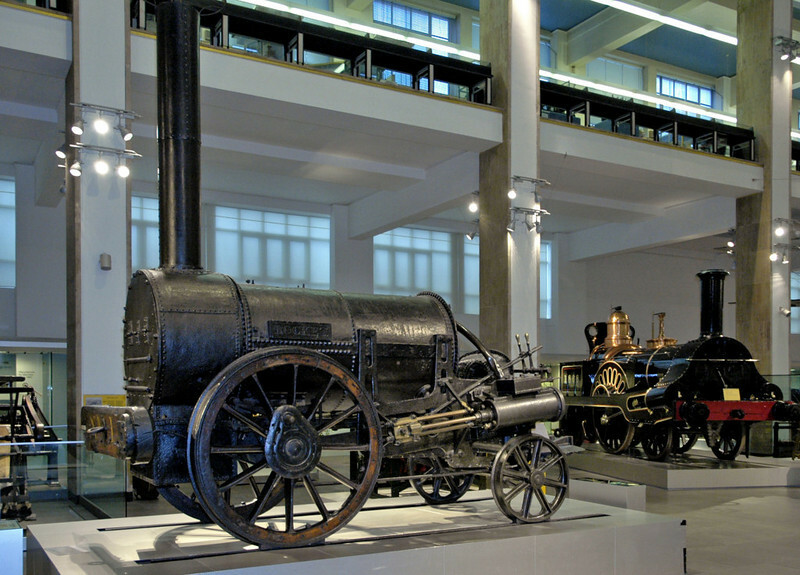 This is the original 1829 Stephenson loco, clear winner of the Rainhill trials. It is preserved with extensive modifications, in particular its cylinders were lowered for steadier running. Beyond is Francis Trevithick's 1845 London & North Western Rly 2-2-2 No 1848, oringinally Grand Junction Rly No 49 Columbine.